Abel Womack is a full-service material handling systems integrator and the most experienced material handling company in the northeast US. We&apos;ve been successfully solving our customers&apos;? material handling challenges for 95 years. Based in Lawrence, MA with locations in CT and NY, the company has a staff of more than 200 people dedicated to the philosophy of excellence in customer care. 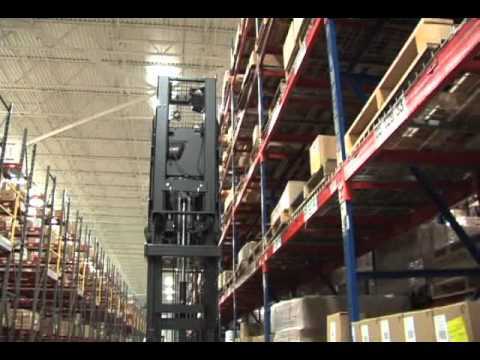 Our experience deploying comprehensive and scalable material handling solutions that immediately increase productivity, efficiency and operational cost savings have made significant impacts to our customers&apos; operations. Our diversity of innovative products, including Raymond forklifts, Kardex Remstar carousels & shuttles, Hytrol conveyors, Montel mobilized rack systems, Radioshuttle, FANUC robots, and Warehouse Management Software and Control systems allow us the flexibility to design a complete solution that solves our individual customer&apos;s challenges. Our product support group offers OEM and other parts for just about any material handling equipment. And our service technicians are factory certified to service Raymond equipment and can efficiently maintain any manufacturer&apos;s equipment.